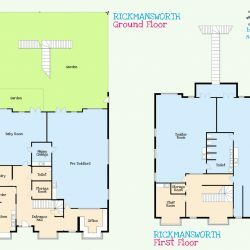 Our Rickmansworth nursery is set in a purpose built building in the heart of Rickmansworth on the A404 / Chorleywood Road. Entry to our bright and welcoming reception can only be accessed via our secure entry phone system. 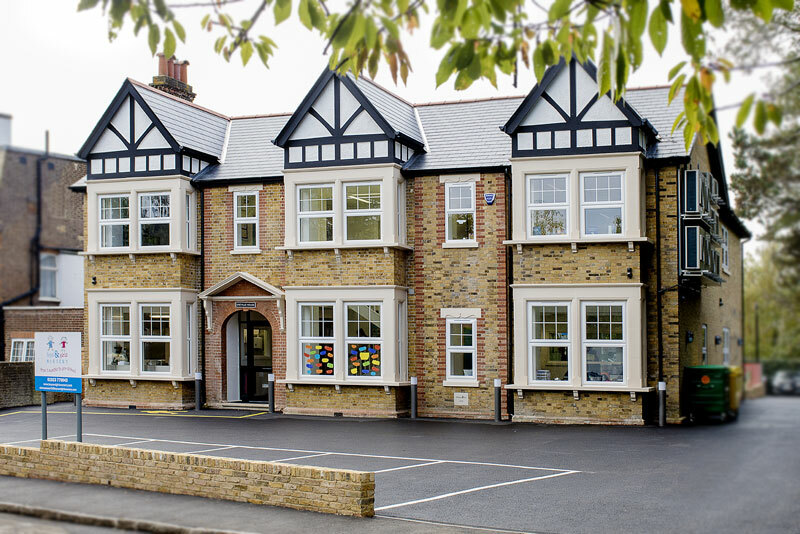 The nursery benefits from excellent outdoor facilities and large open plan rooms. All rooms are monitored by CCTV and parents can ask to watch this from the reception area to ensure their little one has settled. There is a large car park for dropping off and picking up and excellent transport links to the M25, Watford Town Centre, Croxley Green, Chorleywood and the surrounding areas. We’re a short walk away from Rickmansworth town centre and our children can often be seen in their hi-visibility jackets popping in to the library. We even have a storage area for you to leave pushchairs and car seats if you need to. Our dedicated staff team ensure all the children in our care are kept busy by offering a range of activities every day. Children take part in weekly sporting activities with Challenge Sport& Education and Tiny Mites run our music sessions. Our Pre-School children also have a weekly French lesson. Regular walks around the area are enjoyed by all – the aquadrome is a particular favourite. We’d love you to come and see us and see what we’re all about, look around the nursery and meet the staff. Pop a few details in the following form and our nursery manager, Natalie will contact you to arrange a suitable data and time. Our independent Baby Room has been designed specifically so that even the youngest children in our care can have lots of fun at nursery. Care is tailored to the needs of every single baby which is why we ask you to complete a detailed questionnaire so we can follow your home routine as closely as possible. This continuity of care enables your baby to settle very quickly and with a staff ratio of 1:3, we guarantee there will be lots of love and attention from our highly qualified and caring team. There are separate zones within the baby room which enable babies to enjoy different, closely supervised, activities during the day. All that fun and learning can be exhausting, so there is a quiet area so that each baby can get as much rest as they need. Every child has their own cot and sheets, which are changed when required. The room also has en-suite changing facilities. So that you don’t miss out on what your baby has enjoyed during their stay at Boys & Girls Nursery, you will be given a daily report card that has been completed by their key person detailing all the activities they have enjoyed, the meals they have eaten and when they have had a nap. Your child is developing very quickly, is inquisitive and is always learning. We do everything we can to help them reach their full potential. 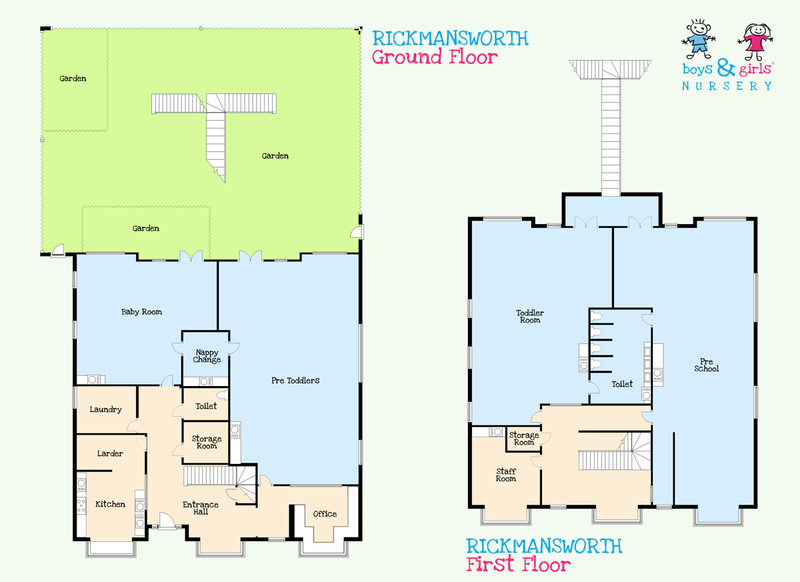 The Pre-Toddler room is a large, open-plan area that give your child the space they need while they are finding their feet, but with a staff:child ration of 1:3, you can be assured that the children always have the close supervision they need. There are plenty of high quality and robust age-appropriate toys that give them every opportunity to explore and learn in a secure, home-from-home environment.The highly qualified team working in our Pre-Toddler room know how to maximise every child’s time at nursery and will always encourage them to take part in a wide variety of activities, including creative, messy and role play, imaginative and small world play. Through play, we encourage independent learning and help to develop children’s social skills by giving them enough space to explore and the support they need to try new things. Our personalised approach means children only undertake activities that are appropriate for their stage of learning and development. When they need a rest or sleep, they can go to the snugly area and lie on sleeping mats, where there is always a member of the team to watch over them. As the Pre-Toddler room has easy access to our large, enclosed garden, children can enjoy lots of supervised fun outside, whatever the weather. You will soon see that there’s always lots of fun to be had in our Pre-Toddler room! As children begin to discover the world around them, they need new challenges so they can explore in a safe and secure setting.Our Toddler Rooms offer the ideal environment to have lots of fun and to learn new skills. Although our dedicated team organise plenty of focused activities, which enable them to evaluate the progress of each child in their care, there are also plenty of opportunities for boys and girls to choose what they would like to do, too. As required by the Early Years Foundation Stage curriculum, our team carry out daily observations to assess each child’s progress against the prescribed learning goals and put together action plans and individual learning strategies to help them develop the skills he/she needs. A nursery routine is followed in the Toddler Room and every day they will enjoy breakfast, circle time, a range of child-led and staff-led activities, lunch, rest, and more activities. Children can also enjoy plenty of fun in the safe and secure garden. If they need a nap after lunch, there is a quiet area where they can rest on sleeping mats. As your child is likely to be toilet training at this age, we have en-suite child sized toilets and changing area in one room that allows an easy transition from nappy to toilet. We understand how important it is to reward children and there are reward charts specifically for toilet training. You can’t help but notice how quickly your child learns and develops quickly at this age – and we at Boys & Girls Nursery are committed to working closely with you so that your son or daughter reaches their potential. It’s hard to believe they are preparing for school when they are three, but it is at this age we get them ready so they can spread their wings and fly into the big, wide world. The days are more structured in Pre-School – just like they are at school – but with a staff:child ratio of 1:8, we work very closely with each child and emphasise learning through fun. Our team follow the Early Years Foundation Stage curriculum learning goals to ensure that all children’s progress is recorded and that all activities are planned carefully for each individual. A qualified teacher also comes into nursery on a regular basis to help us plan different activities and to offer any advice on curriculum changes. Throughout the day, children can busy themselves at the mark making table, art and craft trolley, maths and science areas and the water fountain, all of which develop essential skills. Children with Special Educational Needs and those who have English as an additional language are very well planned for and we receive specialist support from the Hertfordshire council. We welcome some very special guests throughout the year, including the police, fire service, dentists and nurses. A local farm also brings in small animals, reptiles and birds several times a year. To support their learning and understanding, we take the children on supervised trips to the local supermarket, park and high street. And as a way of encouraging children to be an independent as possible, they serve and feed themselves, choose their own snack, help set up and tidy away activities, and independently use the toilet. When your child moves to school, we send completed transition documents so that the school can see the stage at which he/she is at and a learning journey profile, which has a detailed history of your child’s learning. We appreciate that funding childcare can be a drain on your resources and we aim to help you in any way we can. Boys & Girls Nursery are committed to offering good quality childcare whilst remaining competitive. We have a very clear and transparent pricing structure for each of our nurseries and pride ourselves on making sure that you know exactly how much you are paying for your childcare. In line with assisting our families to get as much help as they can with the costs of childcare, here’s some useful information on Child Tax Credits and Childcare Vouchers. 2, 3 and 4 year old funded places are available, we are happy to discuss this with you in more detail, please contact us for further information. For working parents, childcare vouchers can prove an excellent way to spread and reduce the costs of childcare. Boys & Girls Nursery are registered to accept all childcare vouchers and we can discuss this with you or click below for further information. Food is fuel and here at Boys & Girls Nursery and we provide fresh, home-cooked dishes every single day. Our qualified and experienced chefs prepare from scratch well-balanced and appetising meals that provide all the nutrients children need to stay in tip-top condition. We believe that it is not only the food that our children eat that encourages good behavior but also the way the food is served and eaten. To encourage good table manners and eating habits our nursery team eat at the table with the children as we find that even the fussiest of eaters become good eaters when they sit with their friends and carers. Clive our chef has a wealth of experience and he makes sure every dietary requirement is met! He is proud to hold a 5* Hygiene Rating from the Food Standards Agency. Fresh fruit, milk and water are always available too. 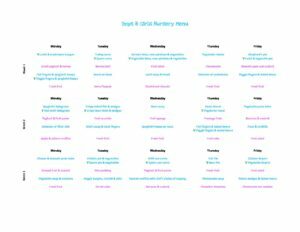 Our 3 week rolling menu has been developed with the support and advice from Sally Temple, a qualified nutritionist, who specialises in child nutrition. Take a look at our current menu. Click below to download PDF. During an inspection the inspector will spend as much time as possible observing children and team to understand the way the nursery staff relate to children and how well they care for children to help them to make progress in their learning. During their time at the nursery the inspector will check a sample of relevant documents as well as the premises and equipment. 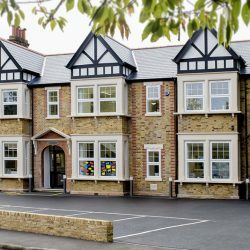 Boys & Girls Nursery Rickmansworth is proud to have achieved a ‘Good’ OFSTED rating at our last OFSTED Inspection. We are also proud holders of the Herts Quality Standard Award – something that the team worked very hard to achieve. Natalie joined the Boys & Girls team in 2014 working her way up to Nursery Manager, she is a huge asset to the nursery. Natalie has a wealth of knowledge she brings to her role, not only does she have experience of working with Babies to Pre-School age children she also has a degree in Early Childhood Studies. 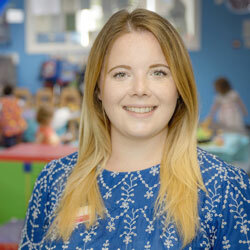 In her role as Manager she is passionate about ensuring the children are cared for in fun learning environments and will continue to develop her team to ensure we are doing just that.